Hugs for my Những người bạn !. . Wallpaper and background images in the luôn giữ nụ cười club tagged: smile friendship happy sylvie fun. hugging you back Lovetreehill ♥.............................haha got ya Sylvie!!!!LOL! 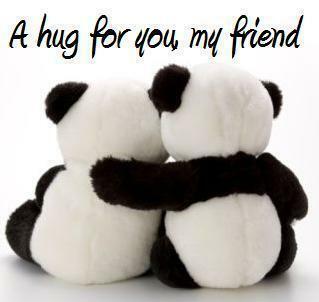 Such cutey pandas *hugs* ! Adorable and you can tell they're so comfortable together!